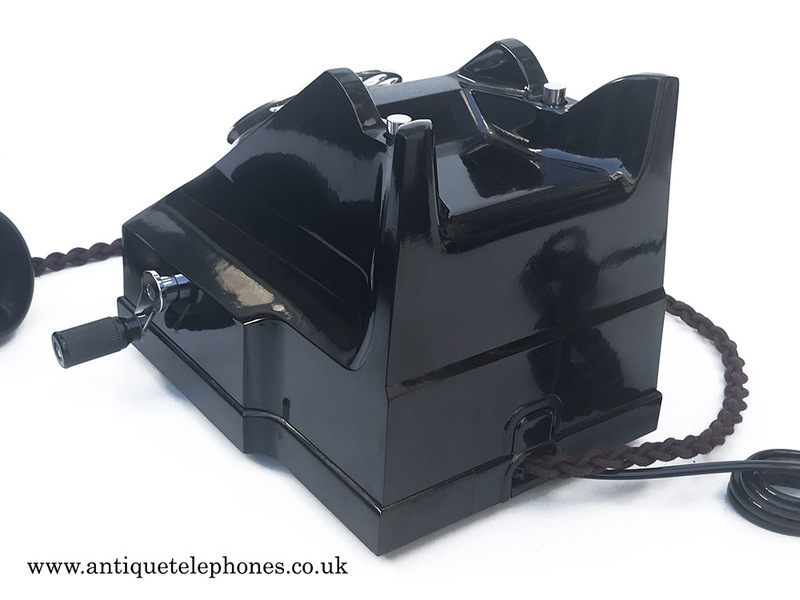 Very unusual side generator 300 series telephone. A beautiful unusual model with working generator handle. Fitted with a pulse to tone unit and so will work on any telephone network including Voip. 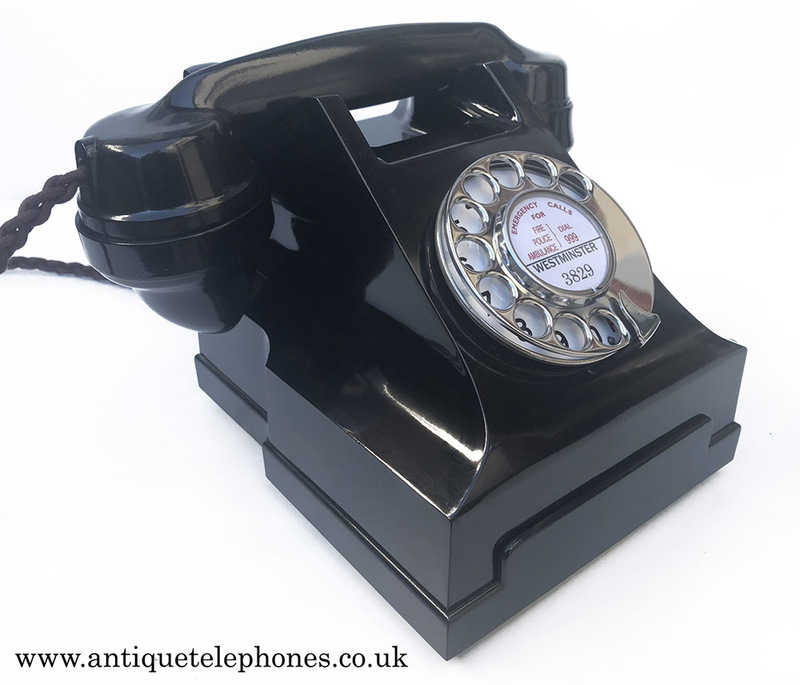 This telephone is quite a statement piece as you can see. the handset oval is marked ETL. It has been totally stripped down and rebuilt after each part has been cleaned and polished. 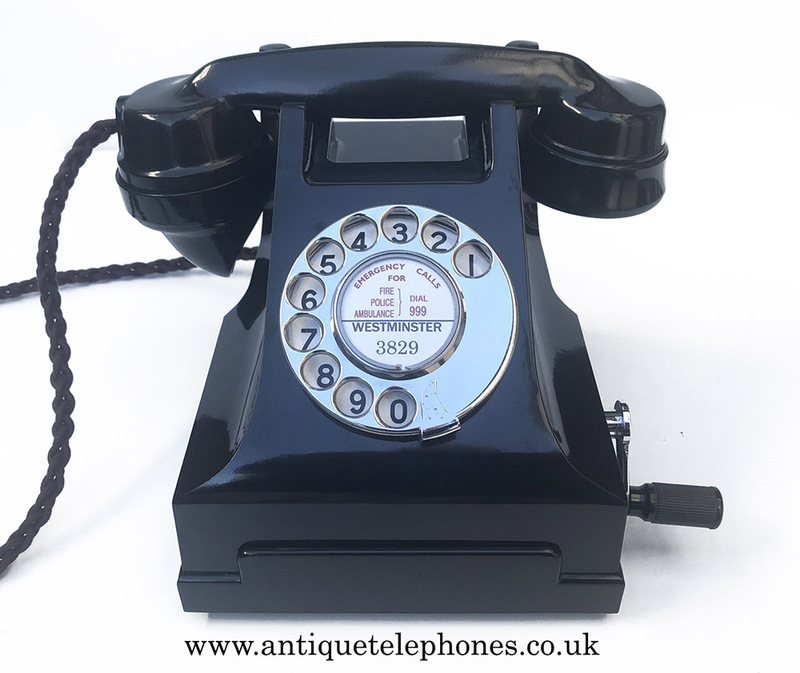 I am not an expert on these telephones but imagine they were used on railways between signal boxes etc. Just a guess but this one came from a funeral directors. 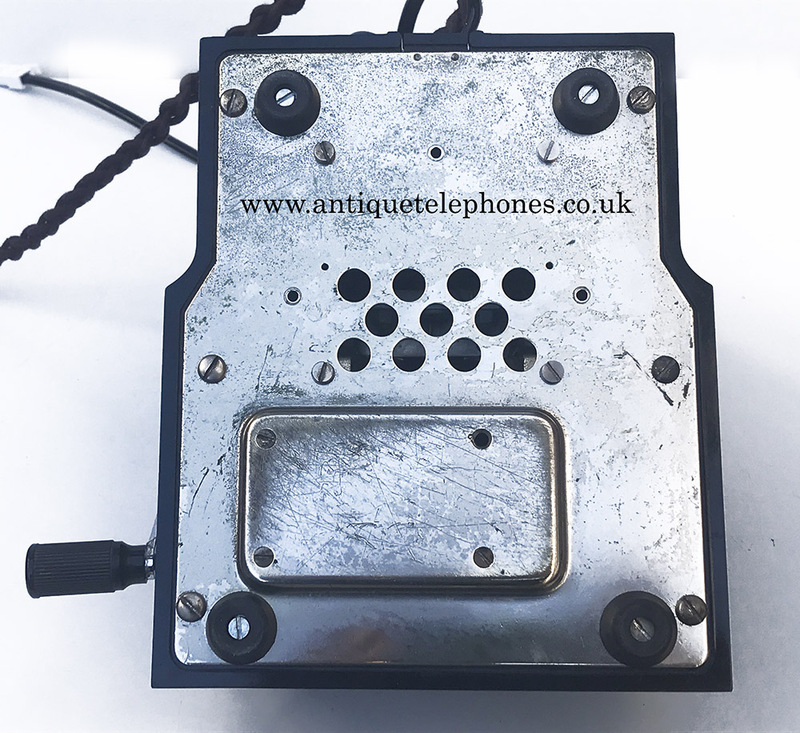 The internal wiring was very complex and believe it may have been used in conjunction with a battery system and so it has been totally re wired with a pulse to tone unit to allow it to work perfectly on any modern telephone provider including Voip. I have fitted a small bell and wired it to the generator to allow it to ring when the handle is turned as a bit of fun. 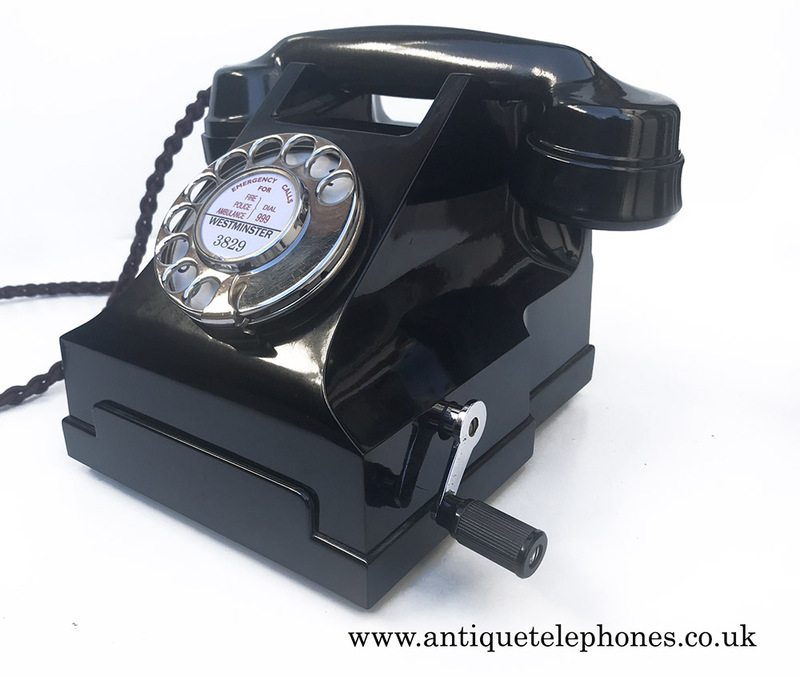 As you can see it it in great condition and has been fitted with a very best quality hand plaited braided handset cord, an electronic microphone and a quality D shaped plastic line in cord made be me. 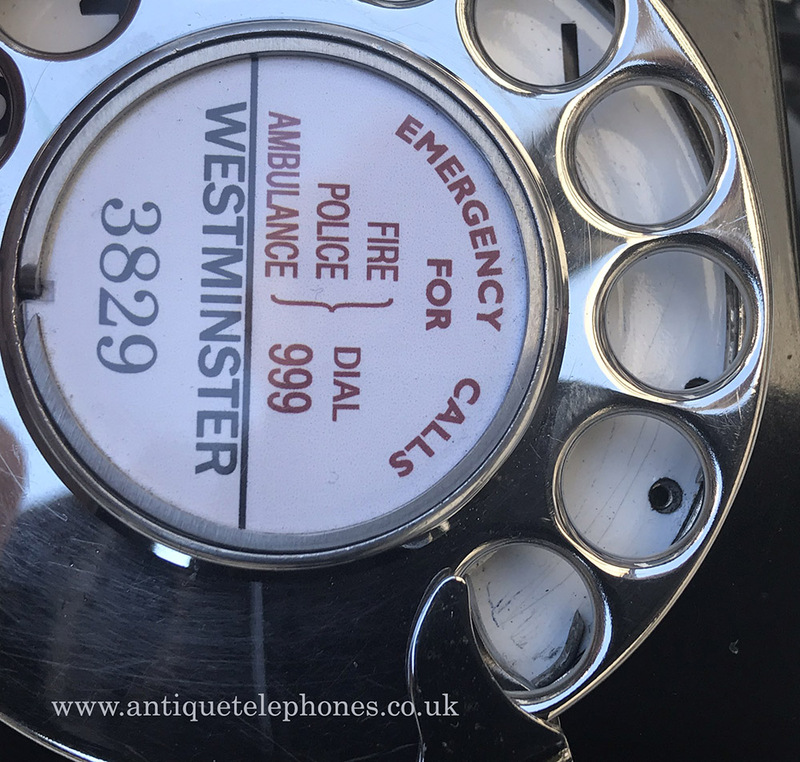 A lot of work has gone into this telephone and I must say was very enjoyable. 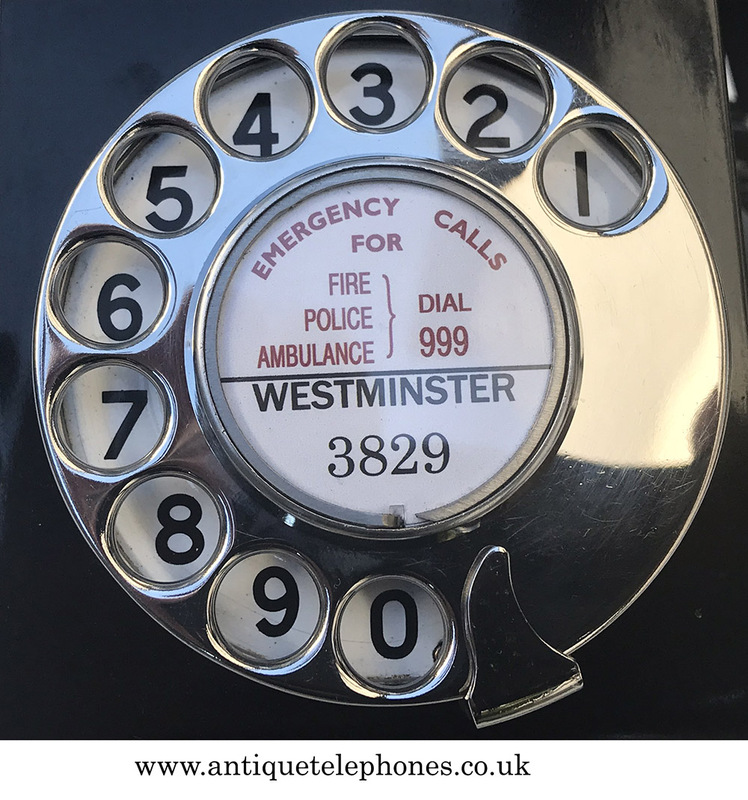 The dial is a genuine GPO No10 with stainless steel finger dial and a genuine enamel faced figure only dial face. I can make a dial label with information at no extra charge.